2 bed, 6 berth caravan on Park Resorts award winning park . New Beach, Dymcurch Kent. Brand new gold plus standard 2 bedroom caravan, sleeps 6. Double glazed, central heating. Pets welcome. Excellent park facilities. A beautiful fully adapted caravan a complete home from home set in a great location. Every booking comes complete with towels and bedding. 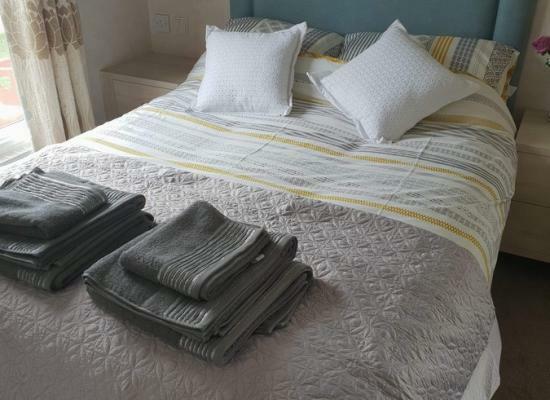 Double bedroom has an ensuite and wardrobe and the twin room are standard size single beds and one sofa bed. Brand new gold plus 2018 Oakley 3 bedroom caravan Beautiful and cosy, double glazed with central heating. Open plan kitchen living space. 1 master bedroom with double bed and onsuit. 2 twin bedrooms. Shower room. This is a no smokin, no pets caravan. For a holiday park that makes a good base for exploring the Kent Coastline then New Beach Holiday Park is a good choice. New Beach caters both for fun filled holidays and also peace and quiet getaways, or of course a combination of the two! 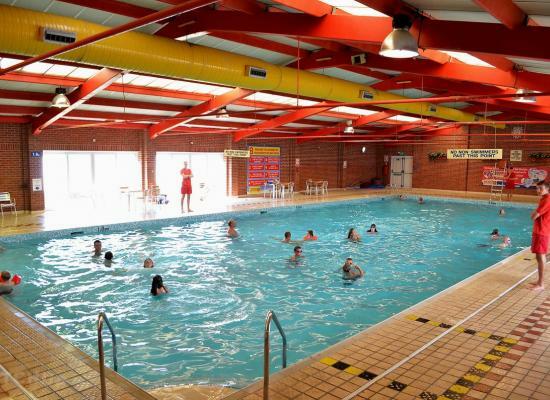 New Beach Holiday Park is situated between Hythe and Dymchurch and is close to many tourist attractions including Port Lympne Animal Park, Romney, the Hythe & Dymchurch Light Railway, the medieval fishing port of Rye, or for the more adventurous its possible to take a day trip to France. In the car a short drive will take you to Leeds Castle or Canterbury Cathedral. Children are allowed in the nearby pubs and local inns, many of which serve food.